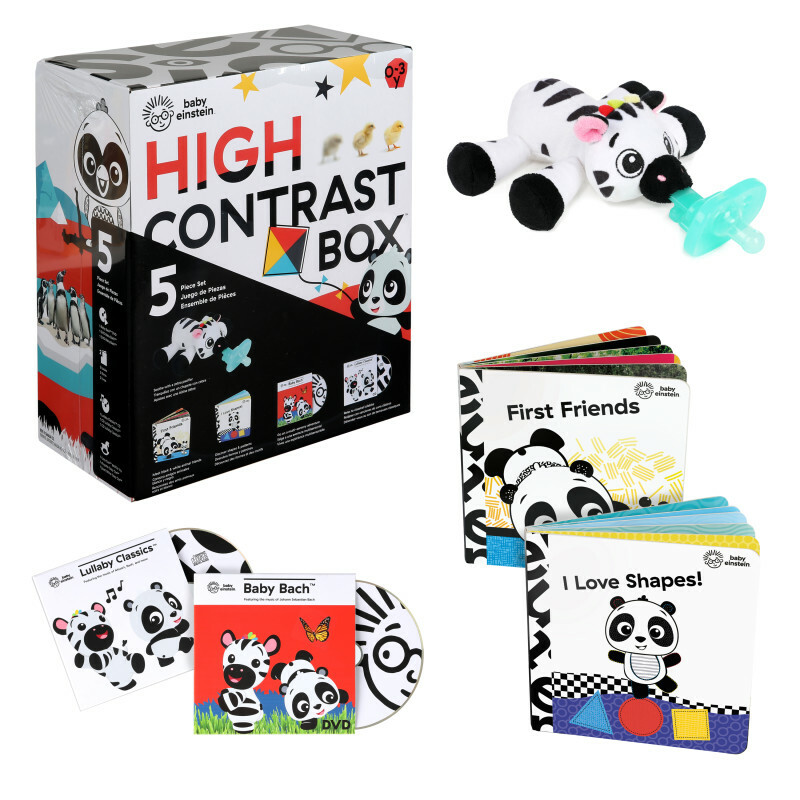 High Contrast Box is rated 4.0 out of 5 by 1. You may not be able to keep your eyes off your littlest love, but as a newborn he can hardly keep his eyes on you! Your baby’s vision is still developing, meaning everything can appear a bit fuzzy. With Baby Einstein’s High Contrast Box, you can open his eyes wide to a whole new world. These five developmental activities are made in the colors baby sees best — black, white and bright! The two books tell stories that jump off the page with bright characters that make it easier for baby to focus. And with the cozy zebra pacifier, your little one will be able to see comfort is only a reach away.